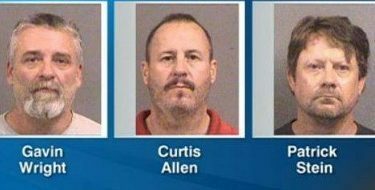 A judge says three Kansas men accused of plotting to bomb apartments housing Somali refugees have no legal basis to request that prospective jurors come from counties where more residents voted for President Donald Trump. U.S. District Judge Eric Melgren issued the decision Wednesday. The men are accused of targeting an apartment complex in Garden City, in rural western Kansas. They’re being tried at the closest federal courthouse about 220 miles (354 kilometers) away in Wichita, where trials pull prospective jurors from surrounding, more urban counties. The men argue the practice is discriminatory because it excludes western Kansas counties with more rural and conservative residents. But the judge ruled that those demographic differences aren’t legally recognizable. Prosecutors argued defense attorneys were trying to pick a jury pool based on ideology.